“There is a fifth dimension beyond that which is known to man. 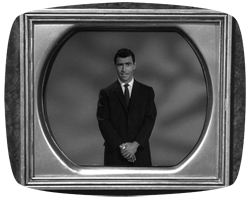 Fifty years ago, at 10:00 pm on Friday, October 2, 1959, CBS Television broadcast the pilot episode of a new series, Twilight Zone. 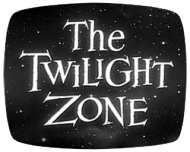 Fifty years later, we can still ask the simplest of questions: what, exactly, was The Twilight Zone? 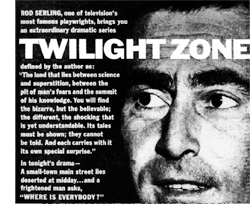 The ad concludes, “And each carries with it its own special surprise,” a foreshadowing of the O. Henry–esque twist endings that are among The Twilight Zone’s most memorable trademarks—along with its eerie, eternal theme music (French composer Marius Constant), and the sound and vision of the series’ only true star in a who’s who of Hollywood actors, its multiple Emmy Award–winning creator, head writer, on-air host, and narrator, possessed with perhaps the most singular, dramatic broadcast voice of the twentieth century, Rod Serling (1925–75). Serling firmly places in the twentieth century pantheon of great American-Jewish humanist liberal writers—from Arthur Miller to Marvel Comics’ Stan Lee, from Budd Schulberg to Mad Magazine’s Harvey Kurtzman—who, though toiling in commercial entertainment mediums from Broadway to Hollywood, nevertheless produced great and lasting art that has transcended its genre entertainment origins—like Serling’s The Twilight Zone.